Home > Nissan Kicks > Nissan Teases New Crossover For LA Show, Is It The US-Spec Kicks? 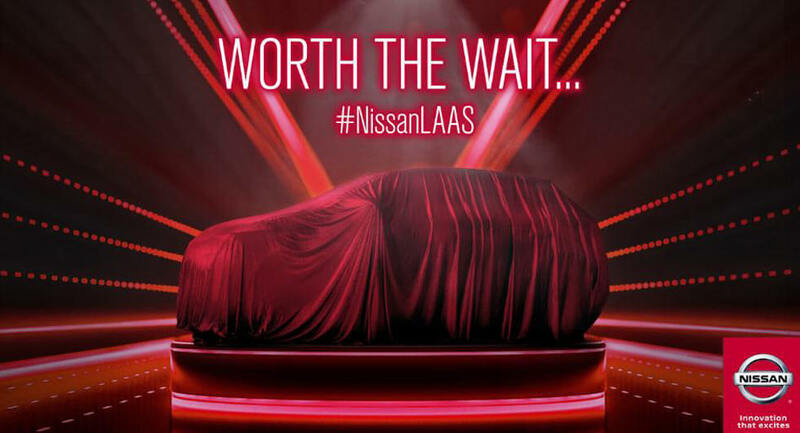 Nissan Teases New Crossover For LA Show, Is It The US-Spec Kicks? Nissan has released the first teaser image of a new crossover which will debut at the Los Angeles Auto Show on November 29th. The image doesn't reveal much but it appears to show a compact crossover with a short hood and a gently sloping roof. Little else is known about the model but the Los Angeles Auto Show previously revealed the crossover will be shown alongside an assortment of Star Wars inspired vehicles to promote the upcoming film Star Wars: The Last Jedi. Nissan is keeping details under wraps but it's worth mentioning the outline of the crossover bears a striking resemblance to the Kicks that was unveiled last year. The crossover was launched in Latin America and Carlos Ghosn, the CEO of the Renault–Nissan–Mitsubishi Alliance, said the model would be available globally. Nissan North America's Vice President of Product Planning, Michael Bunce, bolstered this idea last year as he said "Certainly we see the opportunity for more mainstream crossovers that are less niche, and we see Honda and others in that space and are taking it very seriously." Bunce went on to suggest the Kicks would be positioned beneath the Juke and target the Chevrolet Trax and Honda HR-V.